MNSAT “International Conference on Micro & NanoSatellites, held in Rabat the capital of Morocco on November 19-20, 2018 featuring invited speakers from major aerospace industries like IEEE Aerospace, Surrey Space Center and much more. 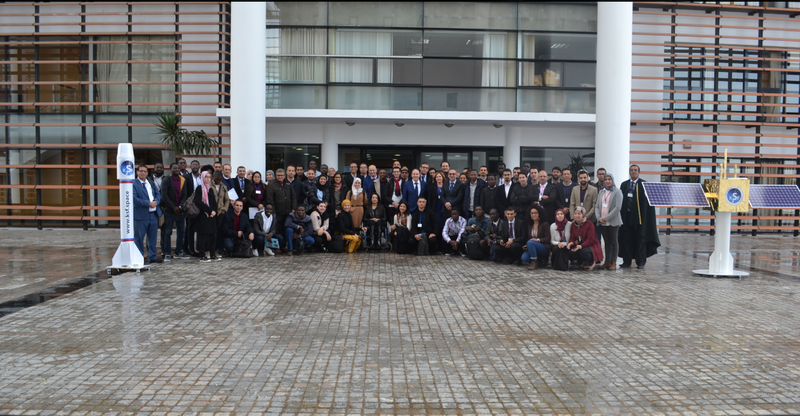 Delegates from 12 countries attended the conference representing Algeria, Morocco, USA, Kuwait, UK, Palestine, Sweden, Italy, India, Mexico, Egypt and Spain. The MNSAT was organized with the objective to bring together researchers, developers, industries and experts from academia and space industry sectors working in space industry, nano and micro satellite fabrication, consulting, telecommunication and ground station, and launch services. The conference served as a forum for the dissemination of state-of-the-art research, development, implementation of micro and nano satellite technologies and its applications. Participants share how they’ve used innovations in technology to increase the impact of their work. Highly interactive and hands-on, the conference attracts a diverse audience of technical advisors, executives, and others who offer a range of practical insights on applying technology to development, humanitarian, and conservation challenges. The key objective of MNSAT is to create a program that achieves a balance between theory and practice, academia and industry, systems/tools-oriented research and content creation.